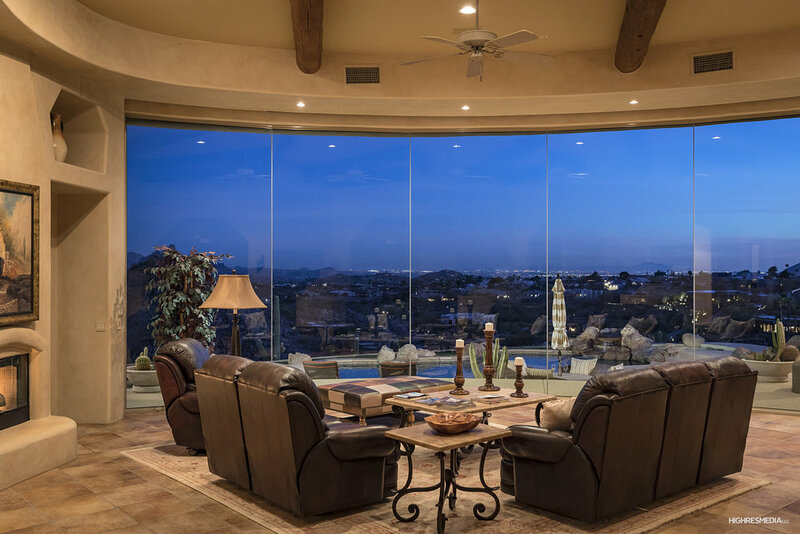 Perched above city lights and mountain views, this remarkable single level hillside lot is spectacular. The elegant entry captures you as soon as you step inside the large impressive front door! 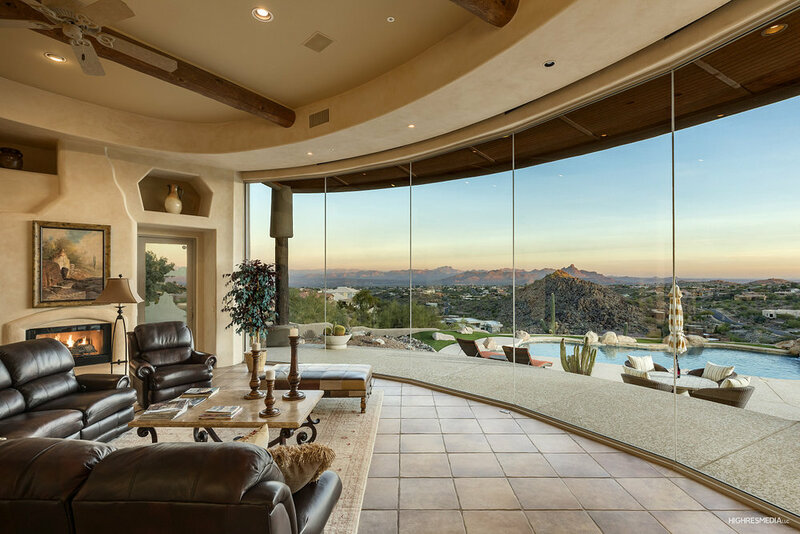 You will be captivated by a breathtaking wall length floor to ceiling curved glass picture window with stunning desert and city light views! Spacious kitchen with center island, new black stainless appliances, dining nook and breakfast bar is adjacent to the dining room and family room to complete the space. Private master suite offers fireplace and spa style bath with large sliding door to pool and magnificent views from Master bedroom .Other features include whole home water filtration with softener, leased solar hot water heater, pool and Solar PV, central vacuum, 3 car garage with cabinets (1 bay extended) and all in impeccable condition! 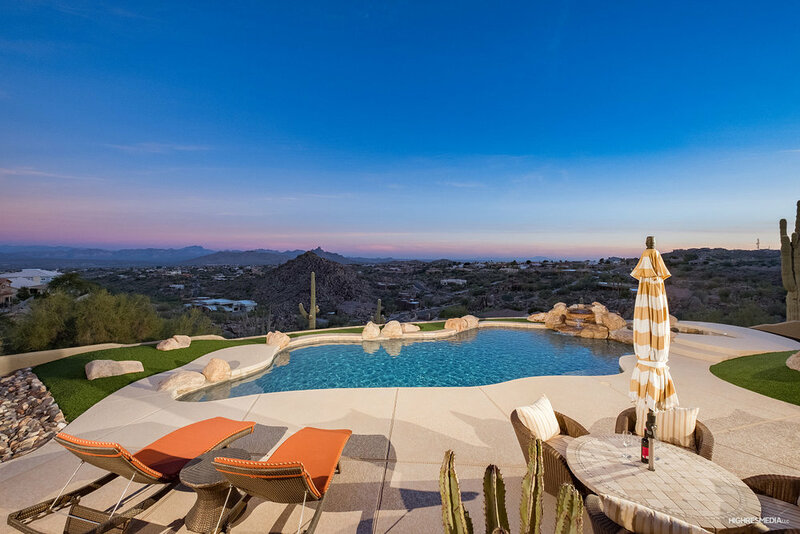 Outdoors you'll experience the amazing views, outdoor fireplace, bbq island with bar, covered patio, lagoon style pool and spa. 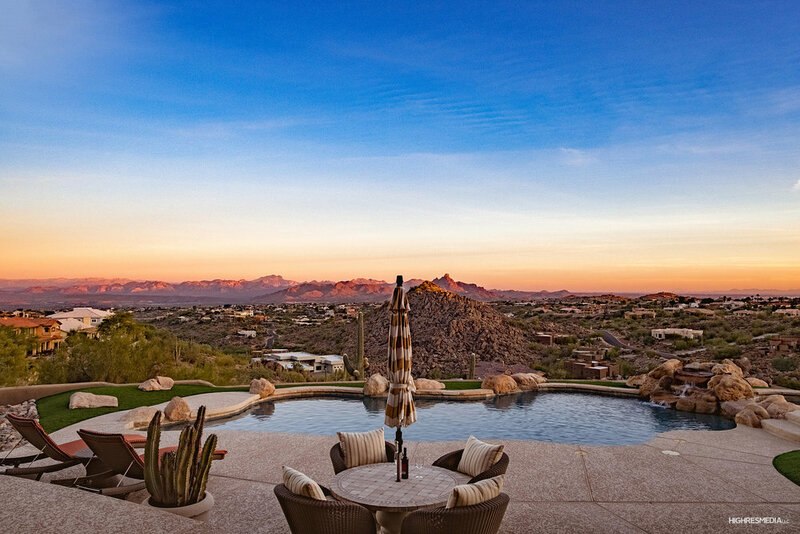 This is one home you won't want to miss.